One of my readers had requested I do an entry on a few brands to look out for in Korea. I don’t purchase many Korean brands but I do enjoy looking out for exciting new Asian Brands as you know be it Japanese, Korean, or Chinese. Korea is a place that is near and dear to my heart simply because of it’s vast entertainment selection. Aside from Japanese pop culture I’d say that Korea definately holds plenty of appeal for me in the entertainment field. I adore Korean dramas as you may already know and some pop music as well (I’m more of a J-Rock girl but popular Korean music definately gets some of my attention). One of my all time favorite Korean brands which I haven’t be able to locate anywhere aside from Korea would be Clio. Clio reminds me of Bourjois Paris with it’s cute packaging and baked eyeshadows and blushes. I’ve done an entry on Clio prior to this but it deserves a revisit in this post. Clio is actually made in Italy but distributed in Korea. As I mentioned I haven’t seen Clio distributed anywhere else in the world aside from Korea but I could be wrong! From what I understand Sasa carries the line but I’m not sure where else in Korea you can purchase it. The line contains plenty of beautiful, funky cosmetics that are sure to appeal to those who love a bit of color. If you’re looking for a natural, neutral look Clio isn’t something you’ll want to look into however if you love a bit of color this will be something you’ll enjoy! Price is midway in my opinion with blushes running from about $19 USD and eyeshadows at around $14 USD. I’ve had little success locating Clio in online shops or on E-bay so if you want the line you’re either hopping a plane to Korea or asking a mate to pick you up some! Overall, it’s possibly one of my favorite brands. I own about 6 of the shadows or so and two of the blushes (I wish I had more) and they are all very pigmented, silky, and beautiful more so then Bourjois Paris if possible. Should you happen to be wandering around Korea another cosmetic line to keep your eyes on would be Laneige. Laneige falls into the luxury group of cosmetics in my opinion but the price is tiny in comparison to some lines. Laneige sells outside of Korea and can be found in Singapore and China however some of the better items pop up in Korea and later are distributed to other countries at later dates. I haven’t seen Laneige in Japan but again I could be wrong. Palettes are about $23-30 USD some lower. Prices vary from country to country and of course it remains cheapest within Korea. The line is extensive, covering point, base, skincare, and other bits and bobs. It definately has some very interesting items and if you have access it is worth looking at! Let me introduce you to Etude. Now Etude is truly an awesome line. It’s girlishly sweet with some seriously awesome packaging. It definately falls into a favorite category for me. The brand is available in drugstores and price wise isn’t too bad. The range is very extensive and includes a variety of cosmetics, skincare, fragrance, and other bits. The beautiful commercials and adverts are especially appealing and cutesy! In the video below I’m especially in love with the makeup from the Peach collection which is a new collection for Spring! Palettes range from $9 USD and up which isn’t bad at all. The shadows fall into the MJ line in my opinion which means they are pigmented as you make them out to be. It takes a bit of work to build up color but in the long run you can get a beautiful look using them! The new Pore Erasing Peach Base is something to keep your eyes out for. It quite reminds me of Benefit’s Erase Paste but looks like it’ll work much better plus it’s only $11 bucks! Etude is definately Muse Approved for purchase! If you’re in Korea you’ll definately want to keep your eyes open for products from Etude’s range! Banila Co is another girlish brand that I adore! The new Spring Collection looks much like Clio’s dual shadows but the price is a bit lower at about $9 USD per shadow. The highest item cost wise is about $20 USD. The line also includes a variety of items from base cosmetics, point, tools, skincare, and even body care! Banilia is available in drugstores and quality is excellent for the price! A higher end of cosmetics within Korea is Vidi Vici. Vidi Vici is created by Lee Kyung Min a famous makeup artist in Korean. The line for me is a bit unappealing due to the elegant packaging. I’m more for cute packaging which could be why Vidi Vici fails to wow me. The line up is geared more towards the working class lady and has that air of elegance minus the kawaii feel about 90% of cosmetics in Asia incorporate into their collections! As you may have suspected the price range is also geared towards the mature woman. Last but not least is VOV. VOV for me has the feel of Kose as some of the palettes resemble those in the line even the Spring Collection has the feel of Visee with it’s mirrored compacts! The prices are about the same as Kose as well with palettes ranging from $17 USD or so. The line up is appealing to all with it’s beautiful compacts and color combinations. The line isn’t as extensive as some brands but does have it’s fair share of point, base, skincare, etc…. Overall, it’s definately geared towards the fresh twenty something but the Muse isn’t twenty and she adores it! I hope you enjoyed this little adventure into Korean cosmetics! Do feel free to share some of your favorite Korean brands! I’d especially love to hear from those of you within Korea about prices, favorite brands, etc….. I was wondering where you can purchase these asian brands like Etude,etc online…is it at sasa.com? I think they ship to the US right? Thanks for this post! I just can say… Wow!!! Never even heard about these brands! Sadly if you dont have friends in Korea or family it’s difficult to get these items! I checked MUA for swap buddy in Korea to see if they can perhaps CP for you! The person I posted this for had asked after the brands b/c her mum is head to Korea soon and she’s asking her mum to get her the items! I’ve tried Korean brands such as Etude (makeup), The Face Shop (makeup and skincare), and Sooryehan (skincare). While I do think that Korean brands are of good quality for an inexpensive price tag, I don’t find myself loving them. With makeup, I find that their eyeshadows, while fine in texture and pretty in colours, are not pigmented enough (this goes for Etude and The Face Shop). I find this also with Japanese brands such as RMK, Kanebo (KATE), and Kose. As for skincare, I used to like Sooryehan, but they are slightly expensive, and after a while, the cream just wasn’t rich enough for my dry skin in the winter. So my overall thought is, if you can get your hands on Korean cosmetics while in Korea, definitely give they a go, but if you have to order them online, it may or may not be worth the extra cost. Face Shop has intrigued me for ages. Some girls on Cozy had gotten a few items from the range and they looked pretty cool but I haven’t yet tried any of it! I must agree that cosmetics aren’t always pigmented enough when it comes to Japan, Korean, and other Asian brands. It takes a bit more work to get color to work well in certain brands and palettes. 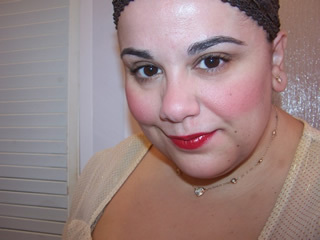 Even my love of MJ doesn’t sway me from the fact that I wished it was more pigmented and easier to blend! RMK is pretty high quality and expensive in comparison to some brands which makes it even bigger a disappointment when it fails to work well! I’ve never experienced problems with Kate and have always felt it was quite an excellent line for the price! I get excellent color buildup, it blends great, and colors are vast. In terms of quality KATE is a big yes for me. However I do feel you on Etude. Pigmentation isn’t fab and it takes some work to create a beautiful look. In the long run I think the extra work is kinda worth it b/c it gives me such a different and unique look compared to my MAC looks. Sooryehan was a big disappointment for me as well as I am dry skin too and it didn’t provide exactly what I needed especially in the winter. The cleansers are a big disappointment as well! Again, agreed, paying jacked up prices in the long run is not worth it. If it’s $2-3 on the price that’s fine but $5-10 it’s def not worth it! Hi Lynne, a site that I’ve used before for Korean cosmetics is Joseibi.com. They have brands like Kanebo, Laneige, Etude House. I hope that helps. Hey Muse! Yeah, I hear ya on the uniqueness of Etude. It is a nice departure from the intensive look of MAC (I don’t actually have any MAC e/s, but I do have a few pigments and paint pots). I got most of my Korean cosmetics from Korea, either from my visit or from a friend there. The prices are appealing, and for that, I can (almost) put up with the subtlety of the colours. RMK, on the other hand, I got a few of their e/s in the UK and nearly had a heart attack at the till (and from what I found online, the UK prices are close to the retail prices in Japan), and their e/s turned out to be a major disappointment. Will not repurchase. My KATE experience was from a few summers ago. Perhaps I should give them a try again? Hello! I was wondering, could you post about Taiwanese (or Japanese because Taiwan imports most of them). My mom’s due to head back again soon and I want to ask her to pick up some goodies! TIA! Skin Food seems to be really popular brand. Have you heard of it? Hey Muse, do you know of Cathy Cat too? It’s Korean also, and I’ve been trying to look for some of the stuff but have been unsuccessful so far. Anyway, it’s got really really cute packaging. I caught a glimpse of some lipbalm called Miss Bean Sweetbean Lipbalm in a metallic bean-shaped case – kawaii as hell but couldn’t find where to get it. Any clues? I really love your blog, and have bought more than one product based on your recommendations! This post is a funny coincidence – I was just at the Koreatown Galleria mall on Saturday, poking around a beauty supply store full of Castledew and Clio, wondering if I dare try it. The prices, as you said, are middling, so I don’t want to waste decent money. 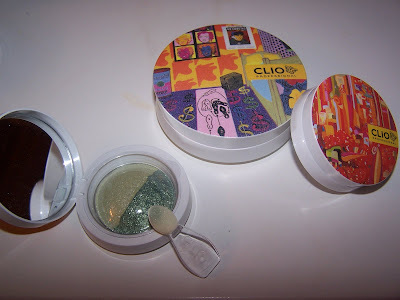 The Clio shadows did seem super pigmented and the Castledew nail polishes are so full of shimmer. I actually thought about you while I was there, since you know so much about Asian cosmetics. I guess I’ll go hunt down that post you mentioned you did about Clio . . . In the comments there, I linked to this page and briefly quoted Stefanie. Anyway, if you haven’t seen it before it’s a funny site and has Engrish from more places than just Japan. I have been quiet for a while as I have been busy at Uni.I had to leave a comment today since you did a great job of introducing many Korean brands to your viewers. I have no ide how u know all these brands!! Honestly, my favorite out of all that you have introduced is Banilla Co. As you mentioned it is cheap but the quality is soooooo good! Etude is good at making girlish packaging but their quality is rather crap in my opinion. Their Fix mascara is famous one though. VIDIVICI is something that I would like to try in the future as it has good reputation but same as you, the packaging is so unattractive it fails to attract me enough. Overall big thanks for introducing Korean brands. It was fresh and pleasant article. Next time when I fly back to Korea this summer I might be able to get you some that you want. I’ve never ordered from Joseibi as I never see prices or how to add an item to my cart…any helpful hints? The prices are just right and with a crafty hand you can create beauty! RMK scares me too. Although I found quality very good the prices just make me shudder in fear! I hate hate that the cases are sold separate. It drives me insane! And price wise from Japan to UK is about the same! KATE then and KATE now is very diff! KATE has undergone very good changes and the quality of the compacts is much better. The texture is still the chalky formula as all Japanese eyeshadows are but I find blending awesome with the palettes! I will indeed. Someone else asked me about Taiwanese brands and I’ve been brain storming a post. I’m not as familiar with Taiwanese brands as I am about other asian cosmetics but I’ll see what I can come up with and share what little knowledge I have! Many brands are imported which is great and you might want to check under my old “japanese brands” posts to locate what you see! I’ll see about creating a post shortly! Skin Food was very popular a few months ago in Singapore and I’ve seen many girls that have hauled some of the skinfinishes and such. I have indeed heard of it and it looks promising although I hear coverage and pigmentation isn’t too fab. Some of the skincare appears interesting! Cathy Cat? that’s a new one for me! Got a website? I know Miss Bean…! There’s a seller on ebay that sells the kidney shaped lipbalms. I even have one but I had no idea it was branded as Cathy Cat. I thought it was called MissBean lol! email and I’ll give you the seller id maybe she still has one or two of these! Aw thanks so much! I hope all my recs are good ones and you’re enjoying some interesting purchases! Oh wow! Lucky you to have Clip and Castledew within your general area! You’re within CA I assume as you mentioned Koreatown!? Are the prices raised due to import or about the same as they would be within Korea? Clio shadows are super nice as are the blushes! I haven’t had the pleasure of trying the VOV castledew nail shimmers though! Awww hehe I feel special that I was on your mind while shopping 😉 I’m flattered I’m thought of when asian cosmetics are around hehe! Do sneak a peak at my clio blush review and I’ll happily do one about the shadows if you want swatches and such! Wow lots of horniness around Korea LOL LMAO! Thank god for all those scrubs and creams to remove horniness! Thank god I can’t read Korean! I’d be laughing on the floor if I translated blackhead and came out with horniness! they’d have to carry me out of the shop! Thanks the your awesome comment! aw I’m so happy the post was helpful!!!!!!!!!!!!!!!!!!! Banilla Co is SOOOOOOOOOOO amazing and cheap! The products are fantastic and the catalog is so vast. So many good things to choose from! Clio is lovely but pricewise Banilla is so much better! I haven’t tried the mineralized marble shadows but I lem them hard! The price is too good! Sigh we need this stuff stateside! Etude does have rather bad quality but I give a Muse approval because the colors are so buildable. It reminds me of MJ in quality. It takes a bit of work but in the end you can create some lovely looks! I haven’t tried the Fix Mascara. Does it have a cult following? You’re most welcome I had fun with this post! Hmmmm, I was just at Joseibi.com…. and their site is different now! The last time I was there was May 07 and I was able to see the price for each item and add it to my shopping cart. I had to e-mail them for shipping charges though. I don’t know what’s happened to the site. Perhaps anyone interested in purchasing stuff from them could email them for more info? Sorry I couldn’t be of any help. oooh~! !very thorough, muse! I am about to hit the sack as it’s past 1am in seoul and i need to be awake in 6 hours 🙁 but wanted to tell you about a brand, which is my absolute fav when it comes to korean lower price range brands: Skin Food. I’ve never had success with Joseibi 🙁 It appears like it’s a compiled list of products without anyway to purchase! I have emailed but no reply sigh! aw it’s not your fault 😉 Too bad as they have a good selection from different brands! gawd rmk was a shocker when I learned the cases didn’t come with plus they cheesy plastic ones are the cheapest and the mirror ones are more $$! Can you email? I got a ? for you! Skin Food I haven’t tried but I hear so many raves about it! I’ve been curious about the skin finishes they have! I’m so happy to hear all the raves b/c I totally want some now! I believe there are Korean sites that do offer international shipping…. the only downside is that Korean websites don’t often have English versions… and even when they do, it’s often error-riddled. So unless you understand Korean, I wouldn’t feel too confident buying off their website. Nope 🙁 True. If they fail to reply imagine if I purchased! Sadly JPmon is the same it’s error ridden and difficult to get through what certain products all! I WISH I read characters but no such luck ;P It’d make life easier that’s for sure hehe! booo i posted a big long response to this and it didn’t go through :(. oh well. with regards to the enprani, i found them at the cosmetics counter in my local korean market. i could stomach the $20 for gloss, which i’m sure is really marked up, but not the shadows since i wasn’t sure of their quality and i’d never heard of the brand. i just wanted to say thanks SO SO much for doing this post for me-i was expecting a short list of sorts, nothing this comprehensive. you’re amazing as always. i’m putting together a list with images (thanks to you) for my mother who’s leaving for korea in a few weeks. unfortunately i can’t make it this time around as i have classes, and i’m seriously doubtful that she’ll have the time to stop by stores other than duty free, so it looks like i might not be able to get my hands on these until my next trip to korea. but either way i absolutely love this list, and will be holding onto it. thanks again!! hey jen sorry ’bout my very long delay in replying! This post was inspired by you btw! Honestly even though it’s marked up it’s nice to have it available locally! $20 is a bit much though! It’s my absolute pleasure to do it for you! Korea has a fountain of fab brands and I hope you’re able to get some at retail cost 😉 And enjoy ’em too! I’m getting the new Peach Collection in soon so I hope I can review it for you before your mum leaves! Aww poo! I’m so sorry to hear that 🙁 But the good news is you can pick for yourself rather then depend on her for getting them! It’s kinda funnier that way ya know!? If I think of any other must have brands I’ll shout at you! Again sorry for my delayed reply! muse, your knowledge of asian beauty brands astounds me. you are freaking awesome. have you checked out DoDo Club? I think that line is totally up your alley, (also from Korea). and the line called Cathy Cat is so cute too, with applicators attached to elastic strings like cell phone charms. Thank you very much for your comment 😉 and compliment! I have a passion for all good things asian 😉 and cosmetics would be one of those things hehe! Cathy Cat is SOOOO AWESOME! I’m glad you brought it up and I should have too b/c it’s totally kawaii! I love the small trio shadows! Those are so killer. I sadly haven’t purchased any of it! But it’s so cutes! Thanks for the comment I can discuss Korean cosmetics all day hehe! i have been looking everywhere for updates and info on korean brands. i love the way they work for me. plus since koreans are all about the perfect “natural” look i love the way all their products apply and usually give that understated beauty look. i think they sell CLIO in some parts of the US. Last time i visited Seattle they had some of their products (among others) inside an asian market. You’ve stopped at the right place 🙂 I try to keep abreast of the latest and greats in Korea, Japan, and other Asian countries 🙂 Plus Europe! You are right 🙂 It’s available in many stores in San Fran. Sadly I’ve yet to run across any shops here in New York that sell it! Thanks so much for your comment! And I hope we talk again really soon! hey.. i stumbled on your page and its adorable! i was wondering what do you think is the best brand for face bb cream and powder makeup. i want that flawless looking skin. thanks! hi nadia these are korean brands available in Korea. i myself is a korean. i’m a big fan of clio also. i fell in love with clio when i tried they’re sunblock. anyways…i just wanted to say the clio is sold in united states also, but only in koreatowns. i live in los angeles and when i go to a korean makeup shop, they all have clio. Hi there! Lioele is a brand you didn’t mention. I think it’s fairly new. I haven’t tried them out myself, but their packaging is really cute! Kind of like Etude maybe? PS Love your head bang 😀 in your profile pic! etude house, skin79, brtc, etc…there are lots of different brands in Korea that are currently very popular. Have a great trip! https://www.musingsofamuse.com/category/korean-brands here’s my archive fion it has many korean brands and reviews. Hi, I am looking for a korea cosmetic product coz i am planning to open a shop in the mall. So i need to find a supplier. Can you help me for that? Thanks. I’m not a supplier cynthia. I don’t sell cosmetics. I’m a beauty blogger. Although I am South Korean, I have only seriously thought about trying Korean products until now which is rather stupid knowing that there are literally thousands of brands in Korea. As I have lived in London for so long, I have spent probably over £200 on (sorry for the language) on make up that is of crap quality and foundation that has probably ruined my skin. I have properly worn make up for around 3 years and every time I get rid of my make up at night I think of how much damage this has done. I want to reverse the effects of using so many products which with how many chemicals have ruined my skin. I love your post including another concerning bb creams. Even though I’m sure you know most Korean (celebrities) pride in their skin, I for sure am not one of them. I know this post is on make up, but do you know any properly good korean brands that tackle spotty skin? With so many exams coming up I feel like I need to some therapy. I mean the goddamn english industry just keep making me think that I need harsh substances to tackle by T-zone and then my best friend keeps telling me these substances are oversensitizing my skin and that is the reason; so I have lost faith. There are no korean brands available in any local drug store. I do have friends (small number of friends) in Korea, but with their busy lifestyles I don’t think I’ll be able to get near any. I have surfed Etude House as I have a small capacity of being able to read korean, and their advertising is sure alluring. Which brand do you recommend for proper skincare. I have heard that BRTC are excellent in bb creams and am going to purchase the Perfect Recovery cream on Ebay as soon as possible. What is the best make up brand that is not too harsh on the skin. Everyone tells me that putting make up is damaging my skin and I know this but I can’t stand showing how ugly my skin is to the general public. I hear skinfood is good and the face shop is equally exciting. If only I was living in Korea… I am sorry for this rant, but I haven’t heard a better post from anyone except you. I have tried so many foundations from Bourjois, Maybelline, Maxfactor and No 7. I find myself bored with products I know I should use. I am willing to try a load of products but I do not want to waste another £200 on products that will not work for me in the long run. What is the best foundation (in terms of Korean brands) for oily skin that can suffer from bouts of dryness in the winter? What is the best skincare range that will deal with scars, acne blemishes etc? I am not really willing to surf for Japanese brands; I hear KATE and Kose are good but there are so many products to choose from and I just think Korean brands have better exposure. I hear clio and banila co have excellent eyeshadows. You say Etude can give you good looks that are worth the build up. As I want to keep my pallette neutral what do you recommend? I have always been troubled with blusher. I just always assume that blusher will automatically make me look either drunk (I happen to abhor alcohol) or just expose my not so very good skin. I assume peach is a safe colour. I know it has been two years since you have posted this, but I can surf Etude for more kawaii ideas. What is the best mascara for short and straight lashes? No 7’s foundation made my look like a pumpkin (no joke) it was like a fake tan nightmare. Maybelline’s new solid to liquid foundation masks and blocks my pores. Maxfactor’s second skin foundation is now separating into two layers of pretty much paint. As you can see I can’t trust any brand in England. As you are one of the most knowledgeable people concerning cosmetics I hope you can reply to my plea. Sorry to hear about all the woes with bad skincare/makeup and money wasted. I really have no experience with Korean skincare for spotty skin/acne as I don’t have the problem myself. I’m over 30 so it’s rare I deal with pimples and such at this time of my life and I’ve always been pretty blessed with clear skin even in teen years so sadly I don’t have recommendations for such a problem, I’m sorry. Korean wise I really like the Skin Food skin care line best lately. Again I sadly do not know what brand of makeup that would not too harsh on your skin? I assume you must be sensitive than? I don’t have sensitive skin so I can’t really recommend good, soothing makeup as I wouldn’t even begin to know where to begin, I’m sorry. I’ve worn makeup for a long time but don’t think it’s damaging my skin? Again I can’t answer as I my skin is dry so not sure a good one for oily skin. For dry skin I really like Shills BB Cream as it’s hydrating and creamy, may be too heavy if you’re oily though. Not sure if this is a question about japanese brands? I have a ton of reviews on Kate and Kose if that’s what you need to just search or use the categorizes button. Banilla eyeshadows aren’t that great and clio has decent ones yes. Etude House do not have neutral palettes, most of the line has softer pastels and a few vibrant pinks as it’s meant to appeal to younger Asian girls. Have you heard about the brand [email protected]? Can you do a review on that? I have geena but the products are a little cheesy looking so I didn’t bother hun! Would you be able to review some of their products for me. As my mom is quite interested in their magical BB Cream , lip gloss and the 5 colour tone eyeshadow. Hi geena sorry I don’t really like the brand so gonna skip on spending money on something I won’t like. I am looking for Kanebo powder and foudation . Do you have those? Thanks for such a wonderful blog and I’m happy I stumled upon you when googling! I was wondering if you knew where in Seoul I could purchase Clio products? Are you familiar with the area? I just landed last week and want to get my hands on some good quality blushes!! i’m super fun of Korean Cosmetics 🙂 It is the only product line that is perfect for my skin type.. i have very sensitive skin.. even MAC irritated my skin..
anyway, does anyone know where i can get a korean cosmetic supplier? Do you have any importer in singapore , as i look for supplier of your product. I have a friend who is of part Thai heritage, I would love to get her some makeup made in Thailand and/or targeted to Thai women. She’s just now starting to explore that side of herself. pl;z write me how can i contact to you. 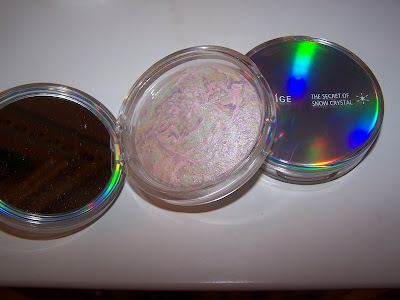 I am trying to find a brand of Korean eye shadow called Prorance. I live in Australia, and cant find anywhere that sells it or online. I’ve been a fan of Korean brands and imagine my excitement when I saw CLIO in the Watsons at Taka yesterday!!!! I heard a lot about their make-up range and wanted to try it out for myself. They’re offering their eye make-up range as well as their second brand Peripera. Tried out their Pencil and Gel Liners and they draw on so easily and so dark! You should check them out if you’re interested! Hey Muse! First off, I would like to say that I love your blog! And second you can actually find Clio here in America! I am Korean American so this is nothing new to me. There are chain supermarkets called DB Market World or Hannamchain. Usually by the cashier, they have like a little “beauty bar” that sells Korean based makeup. And they have a good selection here. So hopefully you can find one around you! Hi., I just want to know where to buy clio products in japan because I want to give them to my sisters., anyone help., thanks.,.